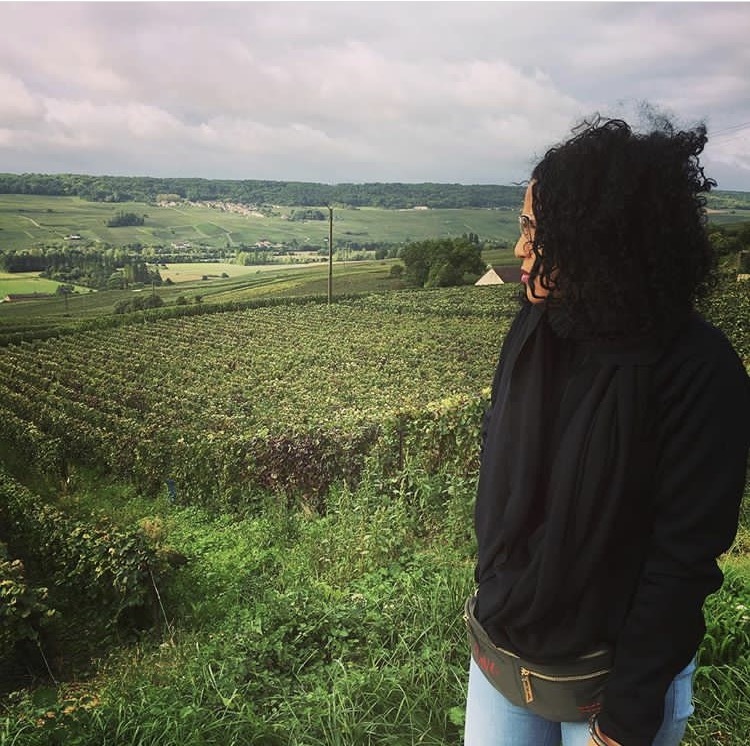 I’m currently flying back home to Atlanta from a whirlwind trip to Barcelona, Paris, and a bonus day trip to the Champagne Wine Region of France! All of this History, Wine-ing and Dining has inspired me to finally write my first Blog post as The Lotus & The Vine’s Resident Wine Educator. For those of you just getting to know me…Hi! My name is Larissa, a Wine industry professional. I wanted to start this Blog Series by letting you all know why I fell in love with Wine. More importantly, why I want to share the little that I know (the Wine world is one of continuous learning) with you. Let’s travel further into my Wine-motto: “Wine is My Passport” (ha..did you like that pun?). While it was sad that our trip has come to an end, I’m comforted with the knowledge that I can revisit our trip at our local Wine shop any time I want. With just one sip, I’ll be whisked back to France and Spain. Wine is one of the only commodities that can take you almost anywhere in the world! It’s all there in the bottle. An authentic, delicious and pure expression of a culture, region, and their history. If you love to travel and perhaps don’t yet have the budget to make all of your wanderlust dreams come true, you can start here. Think about it – If you live in the US, how else can you get a taste of France, Italy, Spain, South Africa, Australia, Germany, New Zealand, Argentina, and Chile to name a few? No worries if you haven’t made it to Napa Valley, Sonoma, Oregon, or Washington State, just take a trip to your local Wine shop! Imagine foregoing an expensive plane ticket for a $15+(ish) bottle of Wine. With an open mind, and the willingness to try new things, it’s that easy! Believe it or not, these are only a handful of flavors that you can get from Wine. We will discuss in further detail what wines typically exude which flavors in later posts and videos. To take it a step further, let the associate know what’s for dinner, and they can help you find the perfect pairing for your meal. So, this is first reason why I Love Wine! I couldn’t sit on this secret any longer! Of course I had to share it with you! This simple shift in thinking about Wine as your Passport can help immensely, whether you’re just getting started on your Wine journey, or you’re a Wine lover that wants to expand their palate. Stay tuned! Cheers! © Copyright The Lotus And The Vine. All Rights Reserved.